Oh, well, that was last night. Too bad I wasn’t there to see it… Or is it? Anyway, I arrived at our apartment last night welcomed by a questioned that said, “Did you see the snake?” I was like, “Uh, no…? 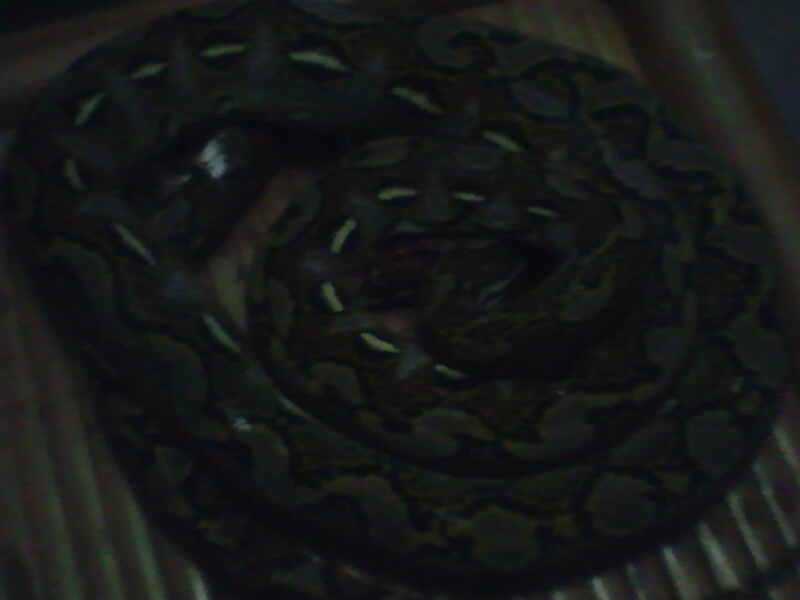 When?” The snake came around at about 9pm and that time I was busy online. They said it attacked one of the chickens owned by one of the occupants of the apartment unit next to ours. The chicken died. It was too late for it. According to one of the sorta witnesses here, the snake was some 8ft long. Kinda long… It was an I-don’t-know-what-kinda-snake-that-was. Yeah, I know it’s a bit too dim. The camera ain’t too awesome. And the photo was taken during the night. Yeah, that. That is what has become of the snake when I arrived at our apartment this afternoon. Cooked and ready for chow! The thing is I’m one of the people who tried it! Crazy! I never really thought I can take it in but I’m kinda glad I did – in one sense. It tastes rather good! Well, it depends on how it was cooked – as always. The person who cooked the snake was the owner of the chicken that the snake killed. He knows how to cook. 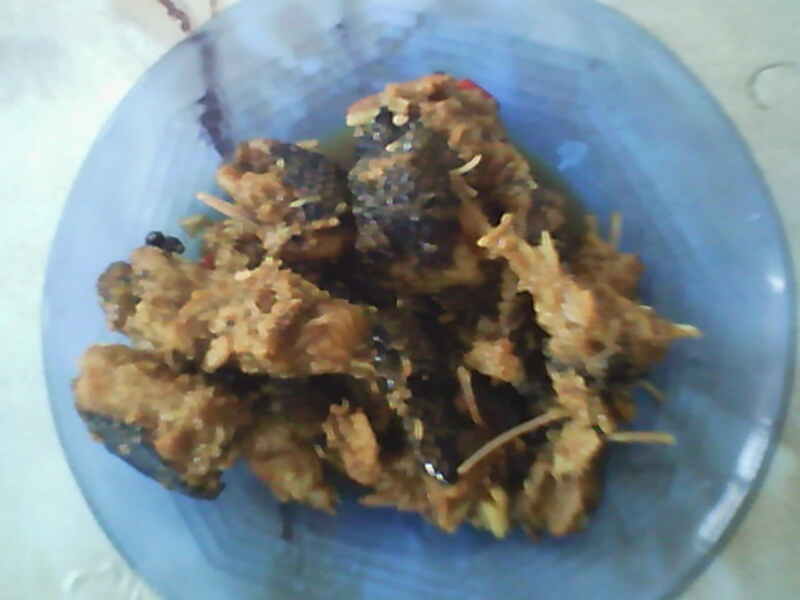 It was cooked with coco milk, soy sauce and other stuff to get it seasoned. Yum!